Wine lover, the mainstream media hates you. If a criminal breaks into a house, logs onto Facebook on the victim's computer and forgets to log out, he's a "Burglar." Not a "social media dork." If a woman shoplifts a designer purse or two, she's a "thief." Or Winona Ryder. But not a "purse snob." Look in the lower right-hand corner: there's the "social media dork" I mentioned. But no judgmental language in the headline. He's a burglar, defined by what he did, burgling. The story claims the couple stole $14,000 worth of wine, a generous estimate based on the store's retail price gouging. They took two bottles of 2006 Chateau Mouton-Rothschild, priced at $1400 at the store, which is $366 more than the most expensive price listed on Wine Searcher. Maybe the store is trying to inflate its insurance claim. The suspects were not named, so we don't know who they are. But thanks to ABC News, we know what they are. Earlier this year I, and at least one other former winner, got a phone call from Tom Wark, who created the Wine Blog Awards. His main question was, what would it take for people to take them more seriously? This week the public votes on the awards, so I'm going to do Tom a favor, perhaps: I'm going to take the nominations seriously, with analysis and endorsements. I visited every nominated site, except in one category. Let's start with the good news first: the categories that the unknown judges got right. This is a stacked category and speaks well for the immediate future of wine blogs. Three of these sites -- Sherry Notes, La Dolce Vino and Italian Wine Central -- will probably be nominated in the near future as single-subject blogs. I'll vote for Italian Wine Central because of its ambition. The blog design encourages you to use it as an encyclopedia. Very strong category. I really enjoy Alfonso Cevola's writing On the wine trail in Italy; he beautifully captures both the romance and the reality of wine. But clicking through them, it's impossible for me to vote for any site but the Washington Wine Report, which seems to give links to any story anywhere about Washington wine. Comprehensiveness in an easily navigated format puts it ahead. Next week is SherryFest in San Francisco. It's the largest Sherry event ever here. I can already imagine the media coverage, because the wine media generally loves Sherry. What I wonder about is whether there will be any lasting change in our drinking habits. Don't get me wrong, like most wine geeks I enjoy a nice glass of Sherry, particularly fino and manzanilla. 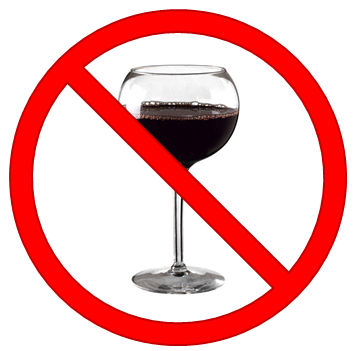 But there's no wine in the world with a greater ratio of media coverage to consumption by non-wine professionals. In some ways, Sherry is perfect for the San Francisco style of eating. We like small plates, we like seafood, we like unusual flavor combinations, and we like wines by the glass. All of that screams "manzanilla!" But there's a big obstacle: the California palate. The Metropolitan Museum of Art in New York recently made available 400,000 of its works digitally. 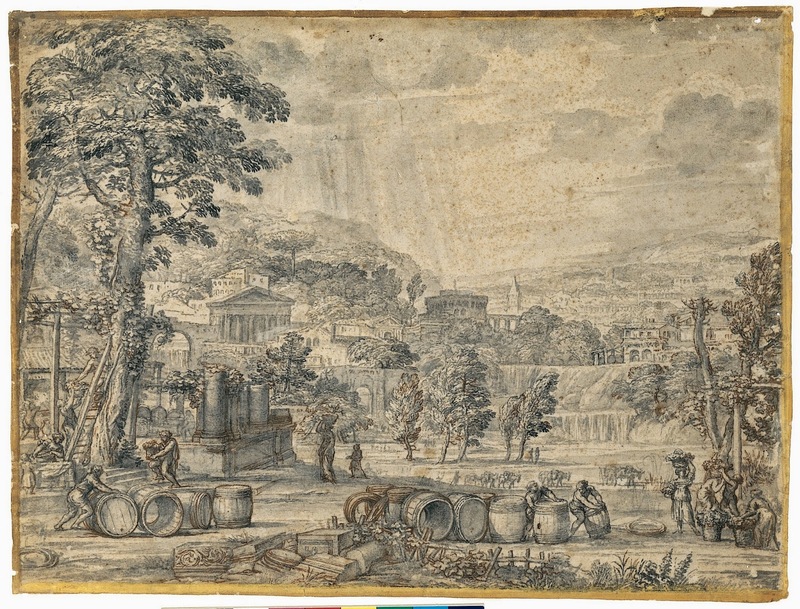 This was the most interesting drawing about wine I found, made by an Italian artist in the 17th century. We don't have an exact date, but Pietro Berrettini, known as Pietro da Cortona, died in 1669. Cortona is in the center of Tuscany, and the landscape is recognizable even today. There are a few interesting points about the harvest. 1) Unfinished barrels are front and center, and it looks like the coopers are working on them right out in the fields. 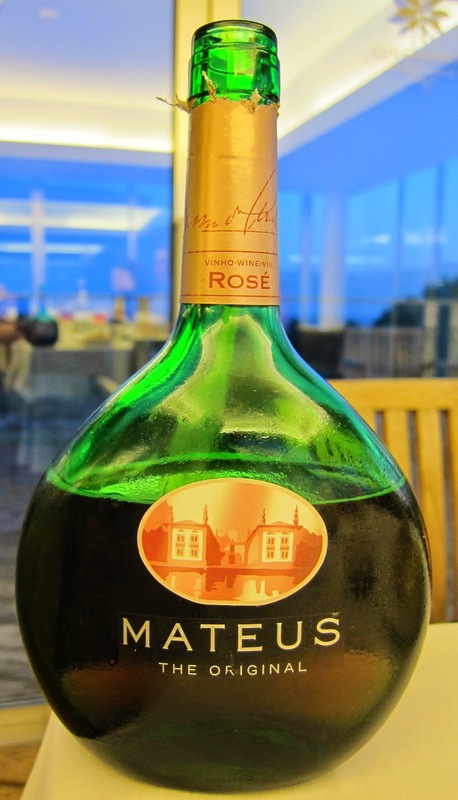 In the early 1970s, Mateus Rosé was the most popular wine in the world. The Queen of England demanded it. 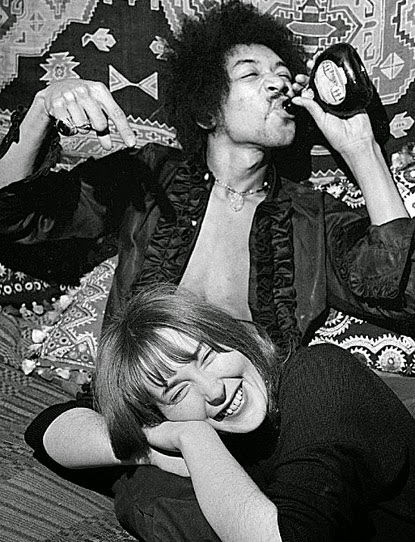 Jimi Hendrix was photographed drinking it out of the bottle. Today, younger wine drinkers haven't even heard of it. To baby boomers, Mateus reminds them of bygone pleasures that are no longer groovy. If it's mentioned at all in wine stories, it's as a cautionary tale; i.e., rosé is serious today, not like in the Mateus era. There comes a time when you stop thinking your parents were wrong about everything. Your parents liked wine coolers, yes, but they also liked Chenin Blanc and locally made beer and Coca-Cola made with sugar, not high fructose corn syrup. You may have conceded they were onto something with Sherry. Perhaps their generation's embrace of marijuana wasn't as misguided as the 30 Year War on Drugs that followed. Is Mateus Rosé ripe for rediscovery? I wish there were still hipsters in my neighborhood in San Francisco, because I can imagine it becoming the PBR of wine. Because Mateus Rosé is not just cheap, ladies and gentleman. I say this knowing that the Kool Kids Wine Kritiks will never share their orange wines with me, but .... Mateus Rosé is pretty good. Here's how I came to this revelation.